Difficult and fiddly to put into car but once in is great. I absolutely love this car seat, so much so that i am saving up for tge same model for my 2nd child. With so many unsafe car seats on the market, this one provides peace of mind as well.as comfort. Rear faces until 4 years of age, and lasts until 12 years old. Great value for money as will be the only seat you will ever need, i only wish i had purchased this before the 4 other seats prior. The only bad thing i have found with mine is how difficult it can be to fit in the car, it is quite complicated and very fiddly, however once in, is very sturdy. 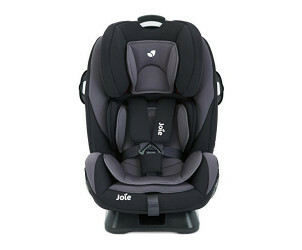 We were looking for comfortable car seat for our trip to Poland and we found Joie every stage. That was good choice. It's woth every penny. It's safety and easy to use. It’s a beautiful car seat, easy to put in the car and my child enjoys sitting in the seat. I find it difficult to tighten the straps to a comfortable position and straps often get twisted. 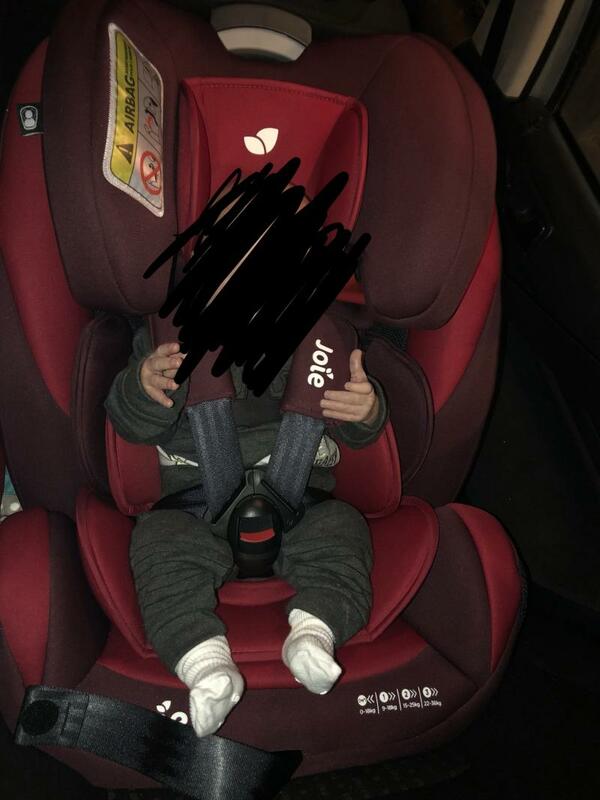 He car seat has a great insert which makes it suitable for a newborn, it also has a longer rear facing ability which has meant that my son is still rear facing and therefore safer for longer. He is 28months and is still rear facing. We love that it can be adjusted into different reclining position. The only down side is that it has to stay in the car as it is quite heavy and bulky, the adjustments also need to be made before it is strapped into your car. Fasten him and then tighten the straps that way we know it is definelty right! We bought this car seat whilst pregnant with our daughter and she has used it since day one. It was simple to install the car seat in our vehicle (Peugeot 2008) took me 10 minutes after watching a video on YouTube. It is simple to get daughter in and out of the seat and she enjoys sitting in it. Comfortable and easy to use. Very secure and lots of padding. Thai product is great, great value for money considering it's fully adjustable from birth up to 4 years. Straps are easily adjusted as is jeadrwat and tilt feature. It fits into my 3 door car easily and is easy to fit into the car and seat. The seat is perfect for those who want to save money in the long run. It may cost a bit more initially but saves money in the long run. It’s easy to put into your car, and fits into my little UP easily. And LO finds it comfortable and falls asleep in it. Easy to use, comfortable, easy to install into the car, easily adjustable. You can use this car seat up to 12 years of age. It is rear facing up to 4 years. So easy to install into the car. So comfortable due to the amount of padding it holds. Perfect car seat for my little one. I brought this when my son was 9 months old, to keep him refacing for longer. He’s now 2 and big for his age and it’s still very roomy for him. Just have to check cars to make sure it fits both rear and forward facing. It is so easy to fit into the car in rear facing position, takes two minutes. Bit tight on hand space for forward facing. Such an amazing product. The amount of safety features on it is fantastic! Fits so simply in rear facing position. It will lastuntil the child is twelve which saves so much money in the long run and time you may waste researching the next carseat stage. The six recline positions are brilliant for all ages and the easy glide catch allows easy reclining while a toddler is asleep so they don't get a bad neck. There are four colour options which is great as not many carseat give any options. The padding and comfort of the seat is exquisite, it feels so sturdy and safe for my little bundle. I love this carseat!!!! I bought the Joie All Stages and cannot rate ot high enough. My littlen loves his time in the car! It has various settings and padding inserts which can be added/removed in sextions to make it a comfortable fit for your baby. Very supportive padding and headrests to support young babies head when asleep. Very easy to fit using a seatbelt or isofix; I have used the seatbelt method and hasnt moved since they day i fitted it. Very stable and reliable. Highly recommend this product as you will not be disappointed!!! This car seat is amazing, grows with your child so you don’t have to buy a new seat when your child out grows it. The recline works in both rear and front facing so the child can lie down and sleep which ever way they are facing. Nice size pockets to hold drinks and toys. The only down side is the size, it’s big. Wouldn’t fit in rear facing in a small car but front facing is fine. I’m using that car seat for my 2 year old son, he looks very comfortable. Easy to strap the child. Unfortunately doesn’t feel safe in every car , we have 4 different cars and we had to buy another car seat. Easy to clean, handy pockets on both sides for a bottle or a little toy. Recline position is amazing as our son sleeps in the car during long journeys and his head stays in safe position . I recently purchased this car seat for my 10 month old aa her 0+ car seat which was part of my travel system, no longer seemed spacious for my little one. After much research and many trips to local baby shops/departments, i finally settled on this glorious car seat. The main appeal was of course, the fact that i can have my bundle of joy rearward facing until 4 if i chose as this is far safer. I then have the option of using the car seat up until 12 years old as it grows with the child. It has multi recline positions for each facing option and even has removable covers! It is very easy to install and is colour coded, i always struggled with installing car seats before hand, but this made ot simple! Fantastic car seat. Very comfortable, easy to use and really safety for kids. I looking not to expensive rwf for my daughter and I found this one. 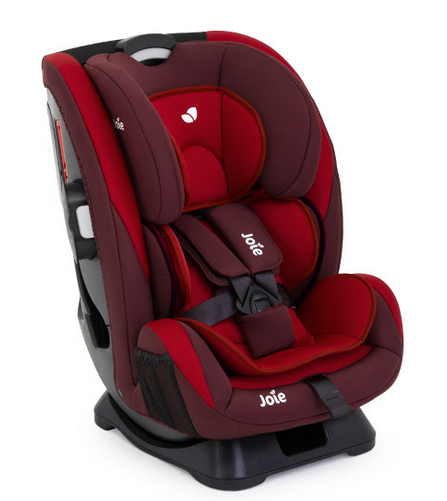 If you choose to buy this Joie Every Stage car seat, it will be the only car seat purchase that you ever need to make. This is because this car seat will last your baby from birth until they don't need a car seat any more at about 12 years old. 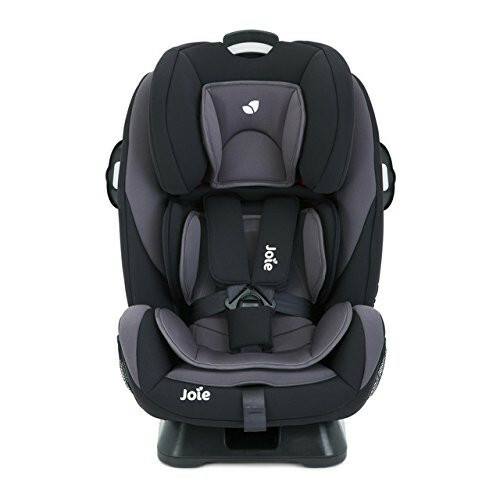 Completely up to date with current safety recommendations, you can use this car seat in the rear facing position for longer than most, so until your child is 4 years old, and be reassured by the guard surround safety and side impact protection panels. Comfort is king - and your little traveller will enjoy the soft and cosy seats and 5 point harness covers, whilst remaining cool as a cucumber with the built in side ventilation. All positions are catered for with adjustable height and width headrest, side wings, harness system, and customisable body and head support. Get exploring by car as a family, in style and comfort. AutoAdjust™ side wings and headrest grow up and out simultaneously.